When two music lovers meet and fall in love, you know the wedding day is going to be something a little different! 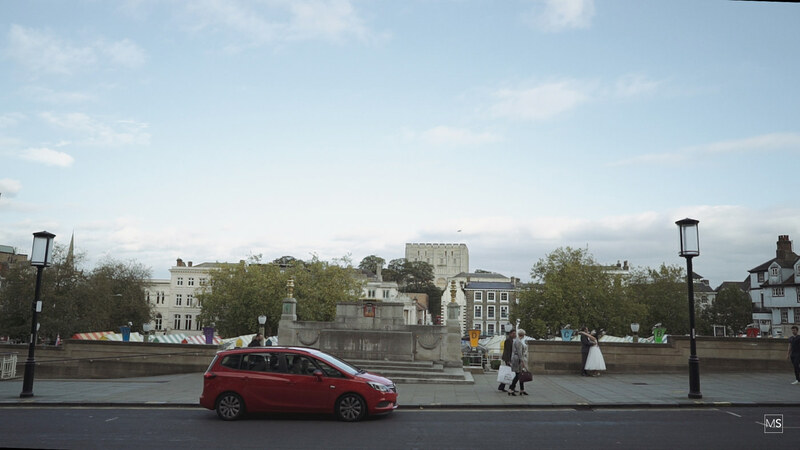 Kath and David were married at the historic Norman Castle in my home city of Norwich in October. 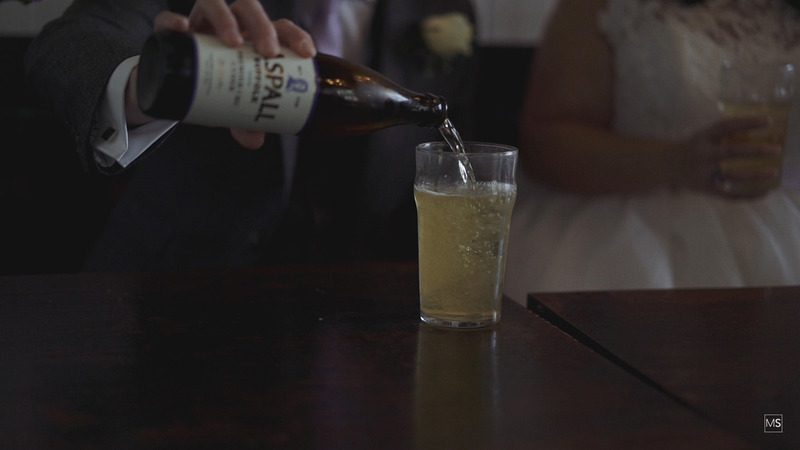 Kath’s favourite drink is Aspell Cider and her venue didn’t serve it, so there was only one answer to this! Find a pub that does! After the ceremony that’s precisely what the guys did. 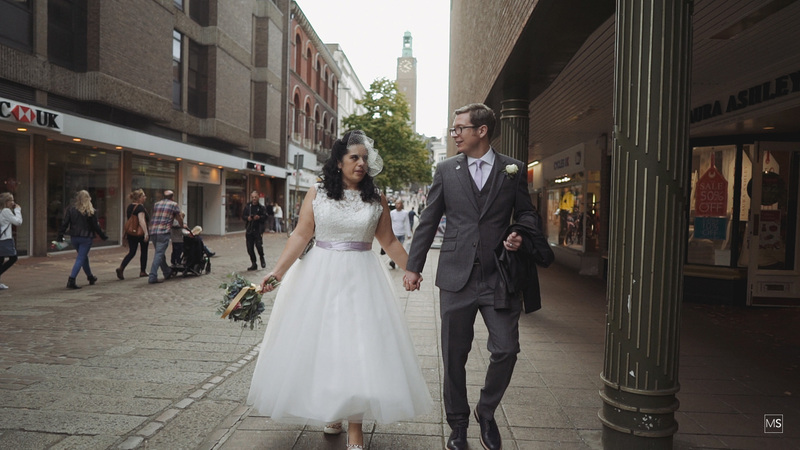 We walked through Norwich (getting some pretty epic wedding video along the way of course) to a pub by the market where the couple could have some time to reflect and have a lovely cold drink. Kath and David had a bit on their hands with the planning of this day (not to mention a second wedding down under!) from making the cake themselves to arranging all the decorations. So it was no surprise that when I arrived at the couples house, there were lots of last-minute checks and tweaks still going on. Kath is Aussie born and bread and her family had travelled over to see this fantastic couple get married. David got ready first so he could scoot off to the St Andrews Brew House in Norwich which was where the couple’s reception was going to be held. Then it was time for the fabulous Flamingo Amy to work her magic on Kath. Kath was sticking true to her style and went with a retro look which perfectly complemented her wedding dress, it was soon time for her to jump in a black cab and head into the city. 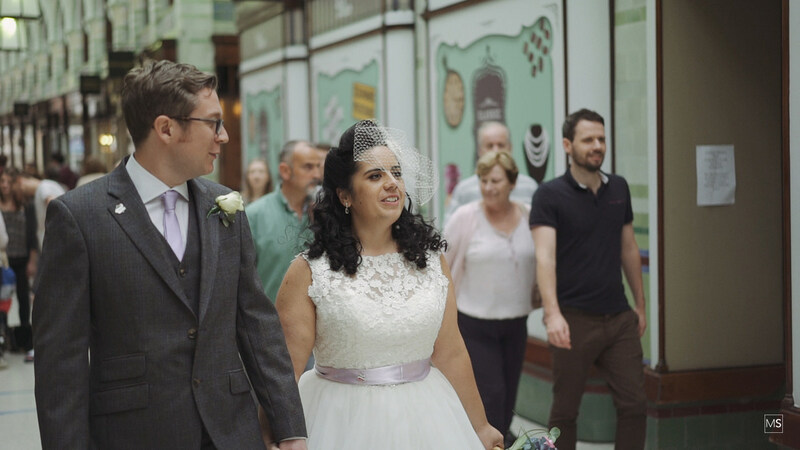 It’s not often that a bride arrives at the venue before the groom, but that’s what happened, so Kath was ushered around the back of the castle until David had taken his place in the ceremony room. 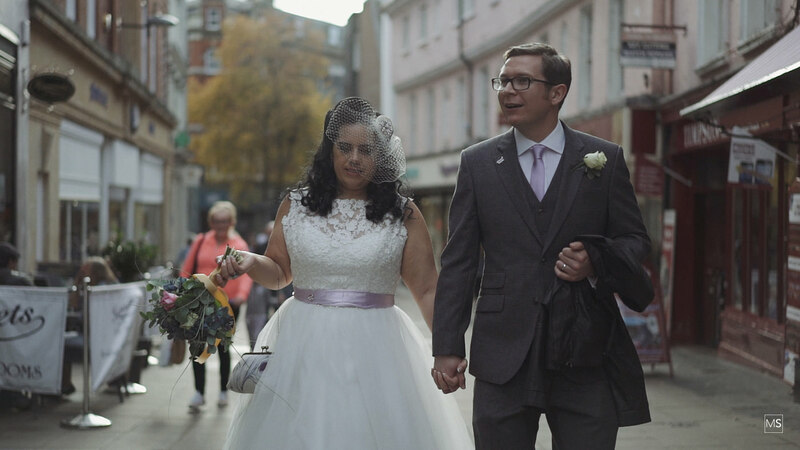 The couple had hired the excellent One Curious Dream to help organise and plan the day. Michelle was a real help from start to finish (even taking my roller back to the Brew House so I could focus on the happy couple during our walk). The food at The Brew House was beautiful and for this intimate wedding was a perfect choice of venue. Different and quirky but warm and friendly all the guests were entertained by speeches from David, Kath’s Mum (hi mum!) and David’s brother Peter. After the first dance, it was time for one more little sneak out with these two to get some night shots by the river. 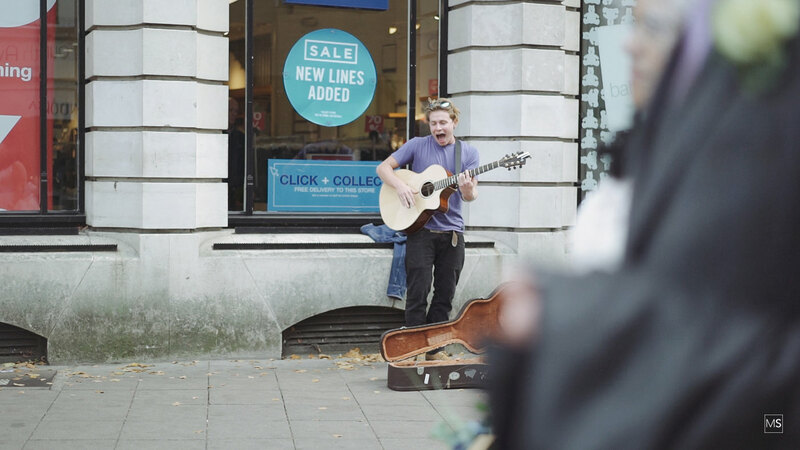 I love Norwich for these sort of shots you can really get some magical film moments, David and Kath smashed it! I loved being these guy’s wedding videographer and thank you both for being so up for all my ideas. 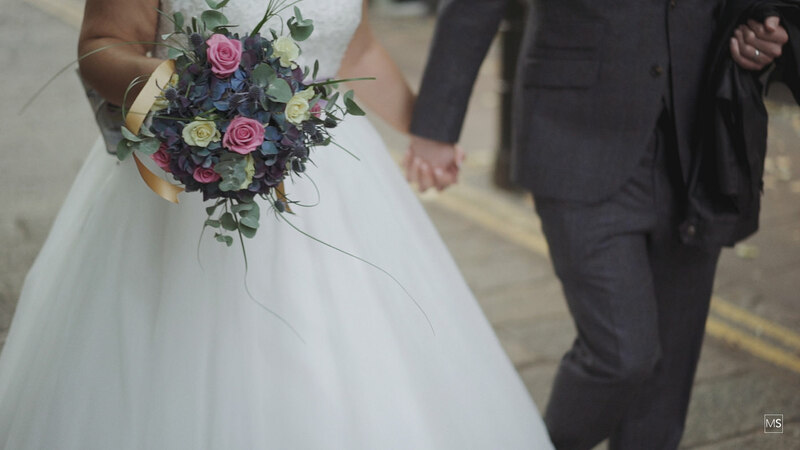 Here is just a little sneak peek into what was a fantastic wedding day.